What can I say about this palette! It is so beautiful. 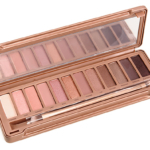 It is not as 'naked' as the first palette however with the colours being neutral but not so much 'I'm not wearing any makeup' appropriate. Some absolutely beautiful and feminine looks to be created from this palette. A product that is well worth the hype! 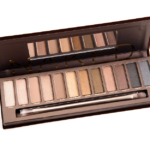 The Naked 1 is truly a "naked" palette with very simple shades that will for the most part make you look like you aren't wearing any makeup. The pigmentation isn't consistent across the palette with some being smooth and buttery while others require a lot more building. A really good concealer and one of my go to everyday products! 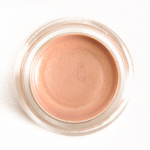 It is a good solid drug store under eye concealer that is light weight. My only criticism is that it is slightly too runny... but only slightly. 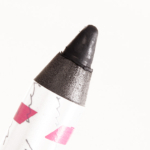 A good basic eyeliner although the pigmentation is not great. I have the shade that has glitter specks in it so i'm not sure if this has affected the quality of the pigmentation. Does work well in terms of staying power in the water line. A good range of shades but I find the nail polish to be too watery and uneven. It took a few coats to get a nice solid colour and then it appeared uneven. A great range of shades from pinky neutrals to vampy colours. The lipsticks have a weird smell that I can't describe but once you get past them they are a great affordable line of lip shades. Some great shades and a good drug store option for lip liners. 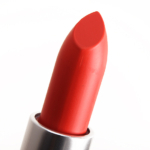 Cherry Kiss is a perfect liner for MAC rebel whilst the red shade suits most of my red lipsticks. 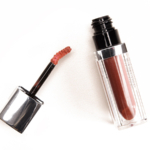 Goes on smooth and pigmented and provides a good base for any lip shade. Probably my favourite high end eyeliner. Doesn't move at all throughout the day and stays just as pigmented as when I applied it. Works quite well in the waterline too. I have the duo in Kitten and it's two beautiful shades - one pearl pink, one bronze gold. 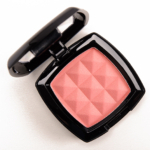 These are perfect as a highlighter but i often just use them on their own as a luminising cheek colour. This brush is absolutely worth the hype! 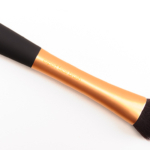 It's a budget friendly kabuki style brush that gives a even and flawless finish every time! Good for stippling as well as buffing and blending. I love the shade Angel! These blushes are absolutely worth the hype. 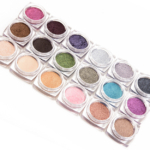 Soft but pigmented they apply a perfect amount of product every time and there is just such a huge range of shades you can find anything that you might need. One of my absolute favourite liquid lipsticks! 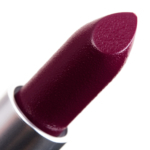 It is a true matte where it goes on thin and pigmented and sort of dries into a stain. It is slightly drying though and will highlight any imperfections on your lips so make sure you give them a good exfoliation first! 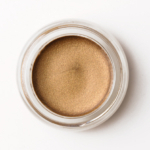 A perfect base shade for everyday application but I also use this as a nice under eye highlight. The formula is so nice and even and creates a perfect even wash of colour - you could easily use this on its own. Not the best liquid lipstick... although that's not technically what it is. It's not quite as pigmented as I would like. A bit more like a gloss than a lipstick. The angled head is a bit strange and I found it hard to apply nicely around the edges of my mouth. LOVE! Absolutely beautiful colour - runs much more purple on me than on Christines lip swatch. 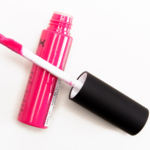 Doesn't require a lot of reapplication - just after a meal but it does tend to leave a deep pink stain on my lips the next day. A beautiful orange-red with a true matte finish. Once it is on it will stay for an extremely long time but it does take a bit to apply as it is a very dry finish lipstick. I suggest applying a thin layer of balm shortly before application. What's not to love about MAC eyeshadows - the shade range is amazing and the option to create your perfect palette is just so good! My favourite shades are club, cobalt and expensive pink! Beautiful colour payoff - unfortunately the shade range is not that great in Australia. The consistency lies somewhere between a pigment and a shadow but theres not too much fall out and blending is great. It also works well with a traditional eyeshadow in terms of mixing and blending.